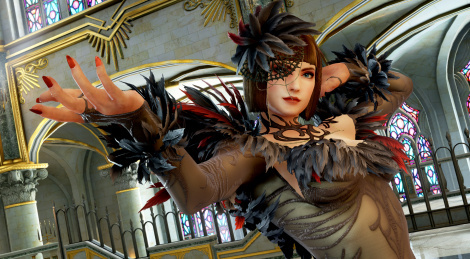 Still from EVO 2018 but this time for Tekken 7, Bandai Namco revealed the upcoming content for the game's new season. Season Pass 2 will bring the return of Lei Wulong and his Drunken Master style, Anna Williams, her skills and killer look and... Negan from AMC's The Walking Dead. Get a glimpse with the screens and trailer after the jump. If Bandai Namco continues on this path of adding unexpected characters from other franchises, specially other mediums, I hope they fully commit to it. Like having Game of Thrones' The Hound and Bayonetta for Soul Calibur 6, John Wick, Yakuza's Kazuma Kiryu and Avatar's Korra for Tekken 7, etc. Will break the 4th wall hard, but that's already happening after they put The Walking Dead's Negan in the game, so might as well have fun with it and go all the way. At least it will be very entertaining to play - and hillarious to make fun of how ridiculous it all is. As a fan of their franchises I'd rather have more original characters. Same. And to have to pay extra for the privilege means they are copying Capcom's tactics after taking the mickey out of the them for doing it for so long. We lost the last great, for the people, arcade fighter game developer. I don't really have a problem with DLC characters, but I would like to see someone experiment with "free" DLC supported by cosmetic content, as a lot of other online games have been doing lately. I imagine that Capcom produces a lot of their SFV revenue by selling Chun Li's wardrobe. I think that could be a sustainable model that works well for everyone. And have they really copied Capcom? In SFV you can still unlock DLC for free if you grind. 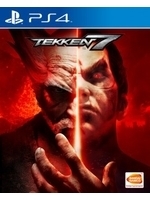 Does Tekken allow players to do that? I'm not a huge Tekken fan.. but I'll be on board SC6 day one.